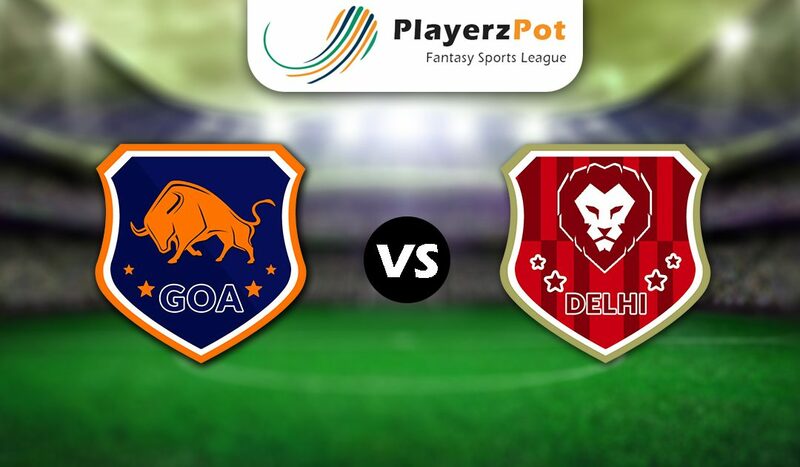 On Thursday, Goa will be likely to make a comeback to the top 4 positions when they play host to struggling Delhi in the Match 31 of Indian Football Championship of PlayerzPot. Goa has been unbeatable until their winning streak came to a halt after they face Jamshedpur leading to their defeat and that too with a massive 4-1 margin. Although their maiden defeat has proved that the defence is fragile. But that would be enough while facing the likes of Delhi. While Delhi is still looking for their maiden win after seven games into the season, this one here might also be a tight corner to explore for Delhi. Four of their seven games ended in a draw while the other three too were a close contest. This can be credited to the fact that Dynamos have not performed well in unison, when their attack fires, defence fails, and when the defenders stay strong, attack stumbles. Delhi: Albino Gomes (GK), Adrija Kaluderovic, Daniel Lalhlimpuia, Carmona, Bikramjit Singh, Marcos Tebar, Pradeep Mohanraj, Narayan Das, Narayan Das, Jayananda, Gianni. Goa: Ralte (GK), Brandon, Hugo Boumous, Imran Khan, Manvir Singh, Coro, Colaco, Lalhmangaihsanga, Konsham Singh, Saviour Gama, Sariton Fernandes. Goa does have an impactful impression but they do lack is momentum. Whereas Delhi has it’s own gameplay which has some flaws, but these flaws might help Delhi to turn the match to draw. Victory seems a bit far from the routes of both the team but a draw is likely to happen.